Photo Shooter 1.5 was just approved. It should be available any time now. It adds support for retina screens on iPhone/iPod/iPad and support for 4 inch screens. Photo Shooter Lite 1.5 was rejected because it crashed on iPad. This was fixed and resubmitted. It should be available soon, after getting reviewed again. 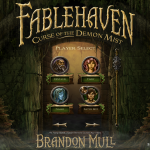 Well, I’m now allowed to post about the project that has been keeping me busy all this time; Fablehaven: Curse of the Demon Mist. 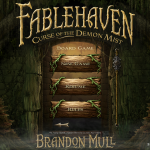 It’s a board game set in the Fablehaven universe. 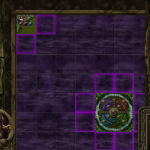 It’s a tile placing game with player pieces, dice, and tokens. It is a universal app for iPhone and iPad. More will be revealed soon, but here are some screenshots to get you excited.